Associate Broker, Selling The Most Important Home...Yours! A native Washingtonian who has lived in Bethesda for 20 years, and with a second home in Delaware, Linda has in depth knowledge of the neighborhoods of DC, its suburbs, and the Nation's "Summer Capital." 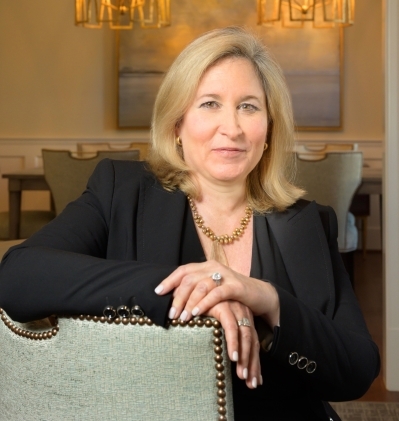 A licensed Associate Broker in MD, DC, VA and Delaware, Linda has a comprehensive understanding of these complex and diverse real estate markets. Linda is a graduate of The Robert H. Smith School of Business at The University of Maryland. She gained her communication and organizational skills as a buyer and manager in the fashion industry. She credits her dad for her passion for real estate and instilling in her perseverance and honesty. Known by clients and colleagues for her energy, focus and fairness, Linda enjoys a stellar reputation for quick, timely responses, attention to details, and personal service. Specializing in assisting sellers, Linda works diligently and creatively to secure the best price, terms and conditions and creating a positive experience. With buyers, she values the collaborative and personal work in matching clients with their perfect home and making a smooth transition to a new community. Whether it's your primary or vacation home, Linda combines her personal knowledge and commitment with a wide variety of sources and experts to help you make the best real estate decision. Married and the mom of two young adults, Linda gives back to her community as a school volunteer and charity organizer. She serves on the board of The Fashion Group International as well as serves as President of her community citizens association. Linda has earned her GRI, Graduate of the REALTOR Institute, CRS (Certified Residential Specialist Designation, which is the highest credential awarded to the top 3% of residential sales agents), GREEN designation, and has earned membership in the prestigious million dollar guild of CLHMS (Certified Luxury Home Marketing Specialist). Linda is also recognized as a Resort and Second Home Property Specialist from the National Association of REALTORS. ""It was through your hard work, stewardship and tremendous perseverance that I purchased such a marvelous home."" ""I did exactly what you told me to do, and it worked!"" ""Linda, the way you work, it will be called Foster and Lizzio before you know it! Jerry says that you are the hardest working REALTOR in America!""